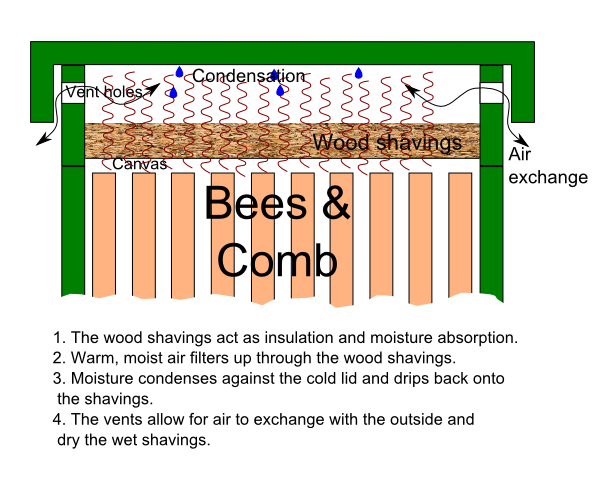 Quilt boxes are a good way to help the bees retain heat while keeping the hive dry. In our wet and rainy winters that can be very beneficial. I've got a couple hives that are rather small and may have trouble keeping the hive warm enough to prevent condensation. I'm installing quilt boxes on their hives to make winter a little easier on them. I made some modifications to the typical quilt box designs found around the internet. Instead of stapling the cloth onto the bottom of the box I figured out how to recess the cloth to maintain good bee space. This video shows my method of attaching a canvas bottom.